Art for the Wild-at-Heart. 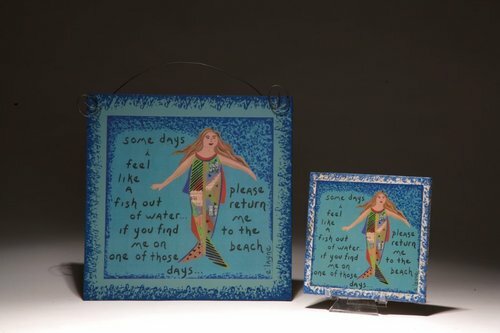 Handcrafted by Tallahassee artist E'Layne Koenigsberg, she specializes in whimsical, fun art that soothes the soul and eases the mind, manifesting the power of dreaming big. This hanging wood wall plaque measures approximately 100 square inches and comes in either aqua or amber. The large plague is always in stock in at least one color, the smaller one is special order at $19.95. We never know which color may run out first...so please call...or send an email to verify color availability.